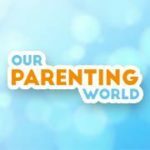 Our Parenting World team checked out The City located at #03-04A Liang Court which is a fun, educational and exciting first-of-its-kind playtime experience for children from 2 to 8 years old. “I am learning to be a police officer”. 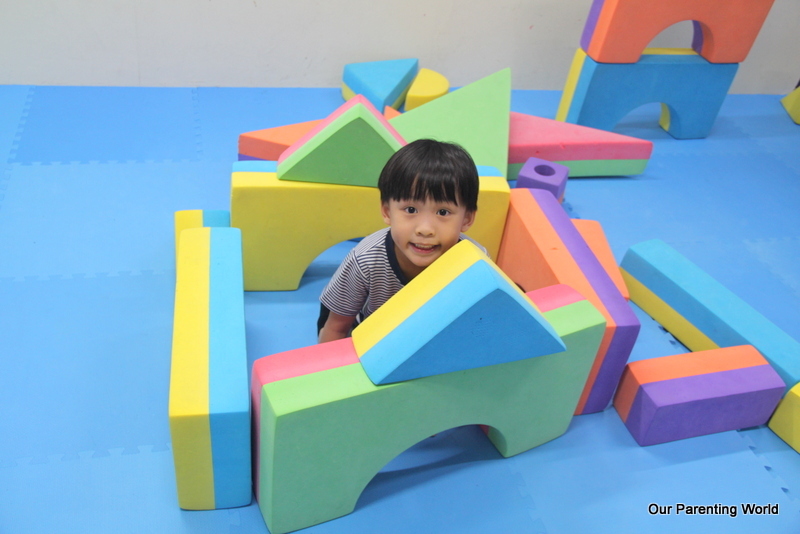 Children will enjoy and get to immerse themselves in various imaginative and interactive learning stations at The City. 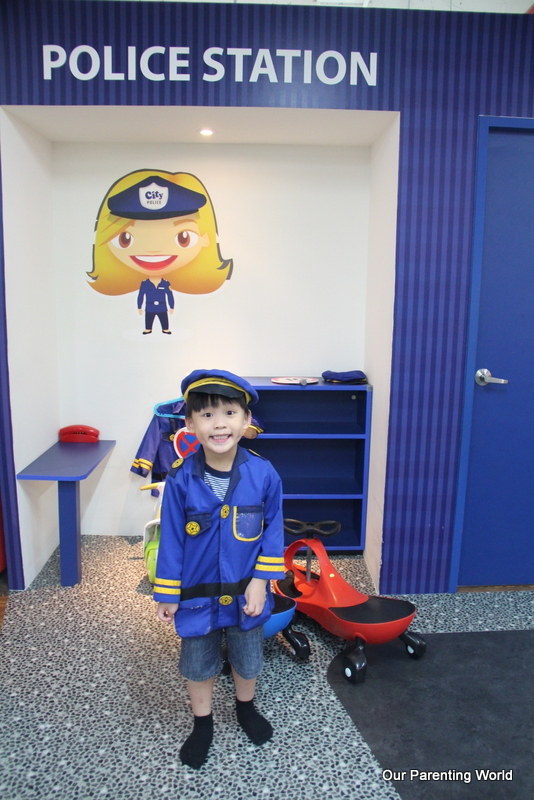 At each station, children will get to have fun exploring and learning about the various adults roles and professions in a fun and safe environment. At the Road and Traffic Police Station, you can learn how to play the role of a police officer, drive a car, know more about traffic rules, understand the road signs and become more aware of road safety. 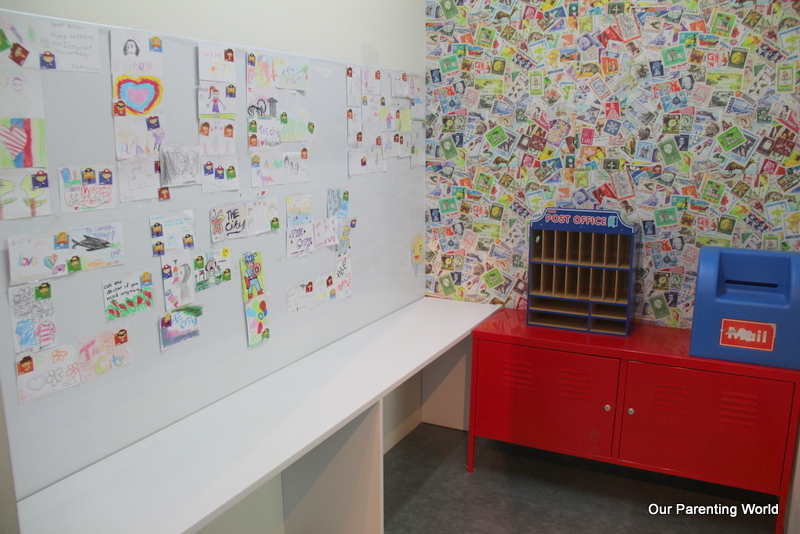 At the Post Office Station, children will have the opportunity to make their own artwork by coloring the postcards, learn more about the logistics of mailing, explore the world and Singapore’s city map and know how to distribute letters to mailboxes. 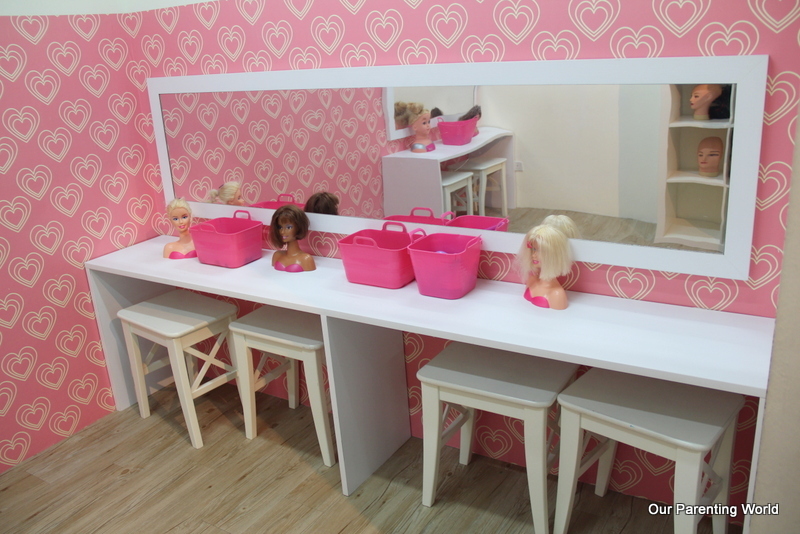 At the Beauty Station, girls will be excited to learn how to be a fashion designer and have fun role playing being a hairstylist or a makeup artist with a wide range of beauty accessories. At the Café Station, it looks just like the real thing which is scaled to child-size measurements. 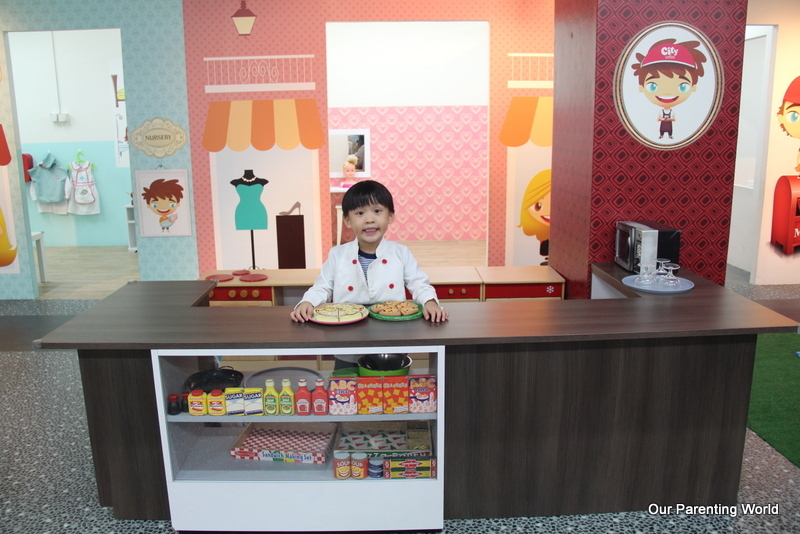 Children can dress up and role play as a chef or waiter or act as a customer ordering food from the Café. 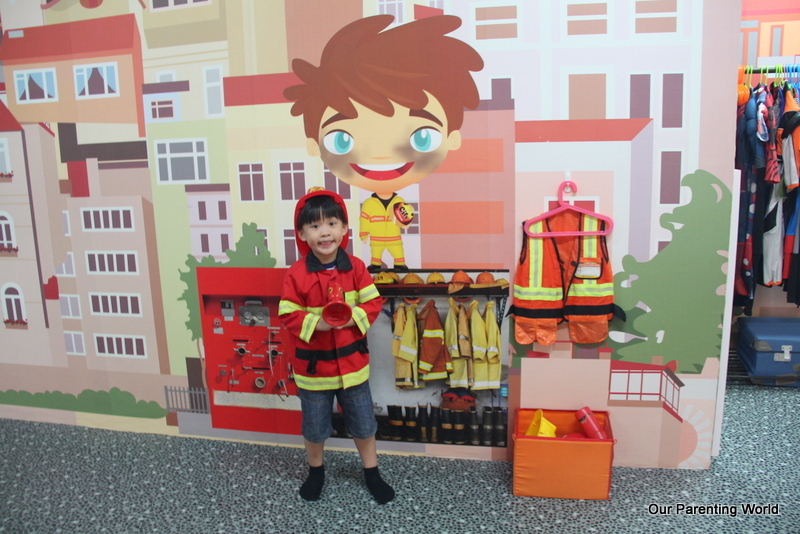 At the Fire Station, children can have fun playing the role of a fireman. 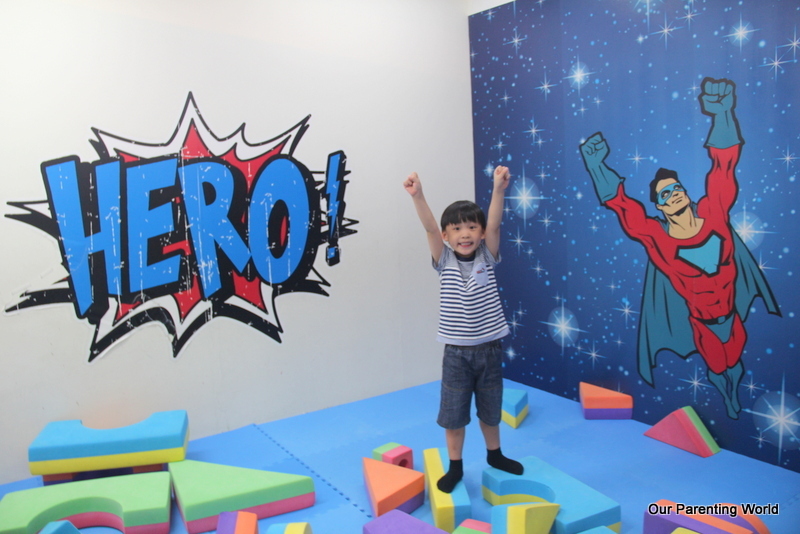 At the Heroes Station, this area is where heroes from real life and known action figures gathered around, it enables children to let them explore their fantasies and construct places with the giant construction blocks. 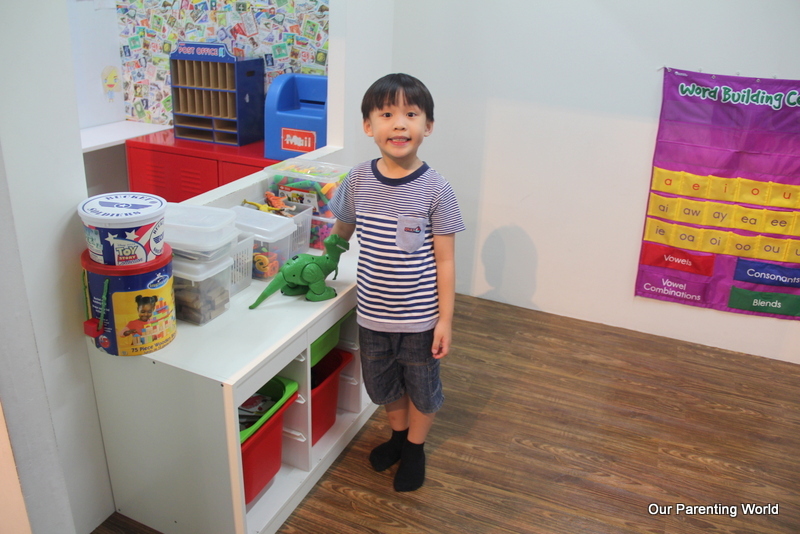 At Our Classroom Station, children get to role play as a teacher, or play and learn from educational games like exploring numbers, alphabets, learn about science, maths or simply have endless fun playing with the toys. 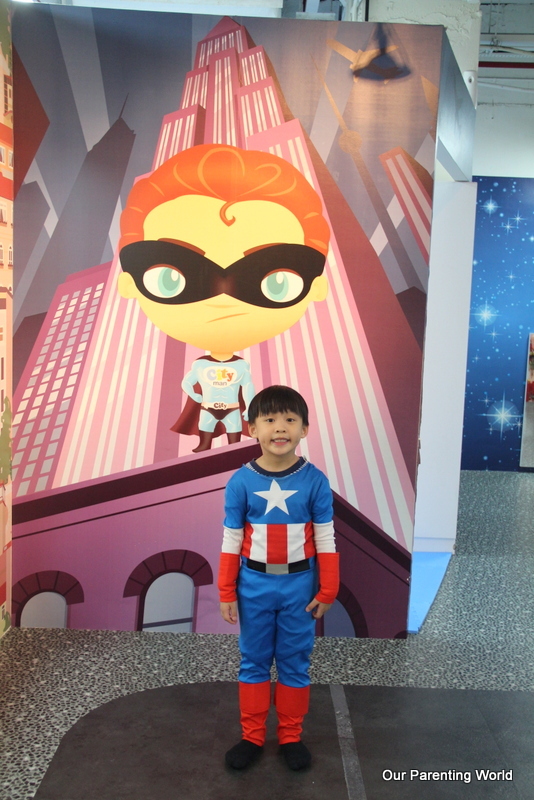 At The City, children can enjoy dressing up as their favourite Superheroes. 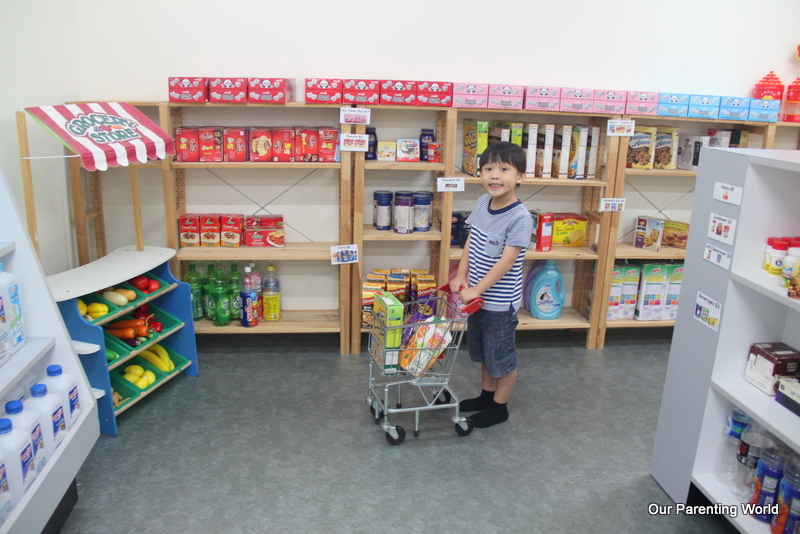 At the Supermarket Station, where the station is well stocked with all kinds of products featuring clean empty packages for a one-of-its-kind play environment to educate the children about the importance of recycling. 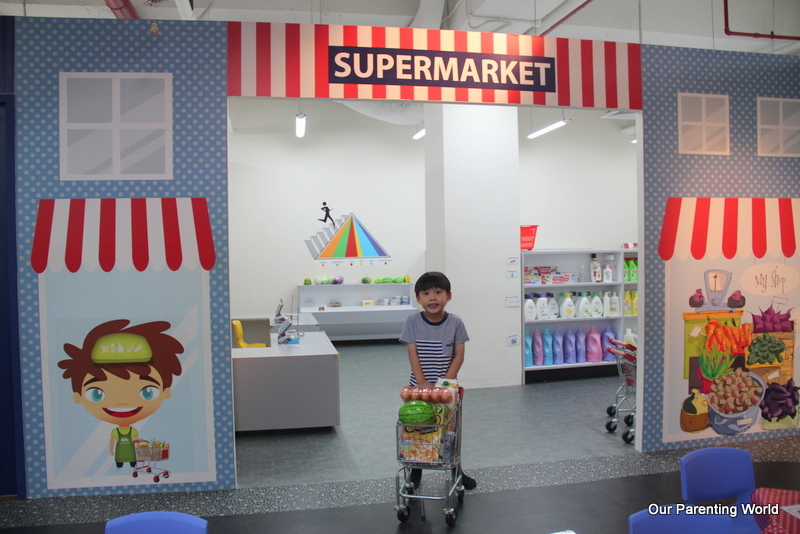 Children can role play as a shopper or a retailer. 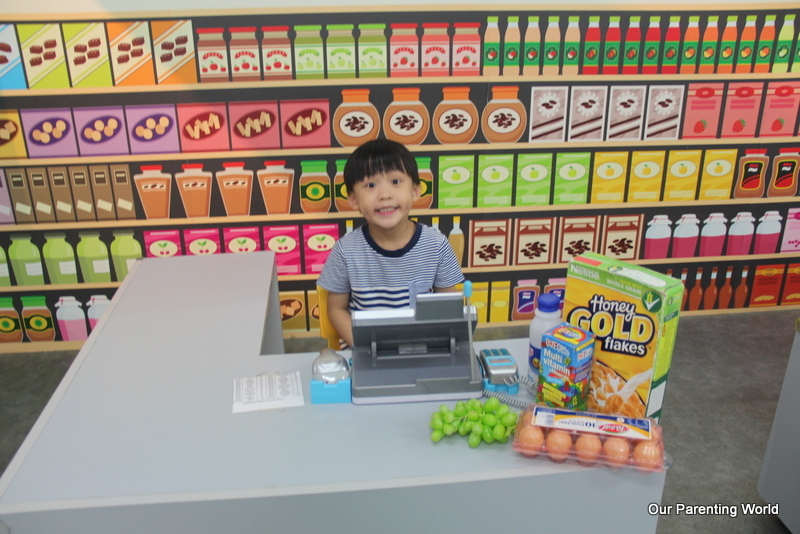 Children will get to learn about the value of money, how to calculate the costs, identify the grocery items and many more. 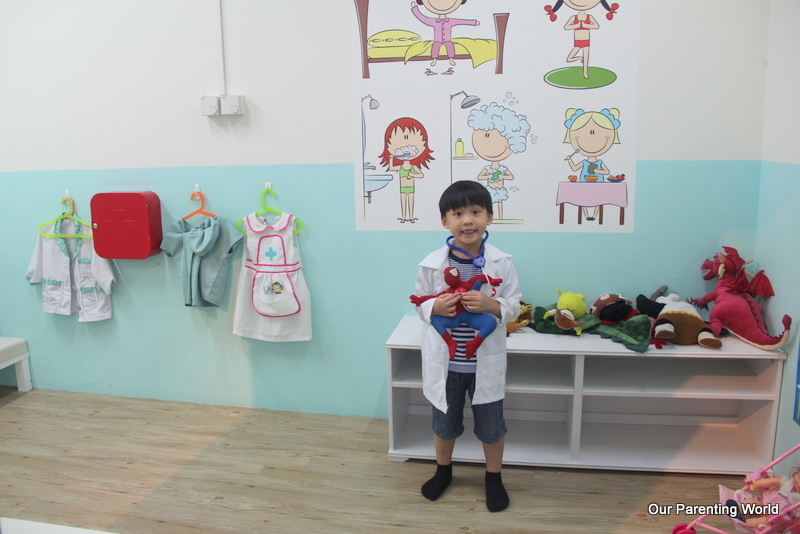 At the Health Clinic Station, children have the opportunity to role play as a doctor, nurse or a patient. 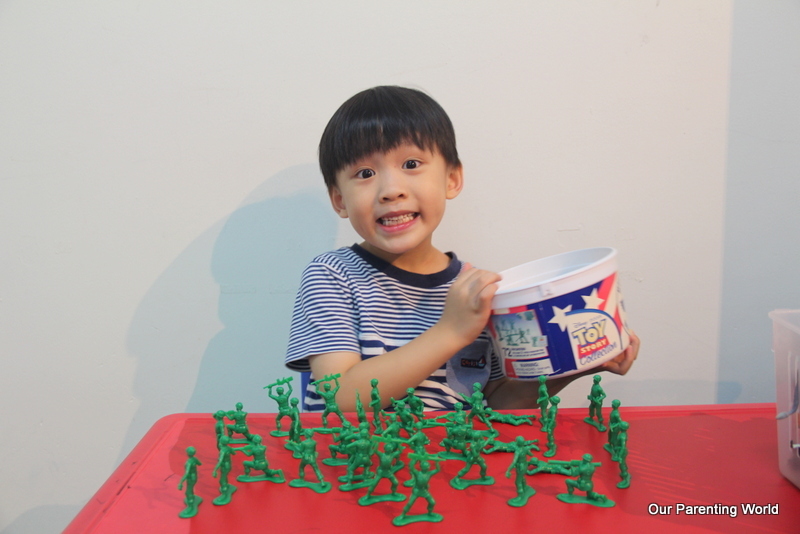 Children will learn more about the human body, the importance of body and oral hygiene and having a healthy body. 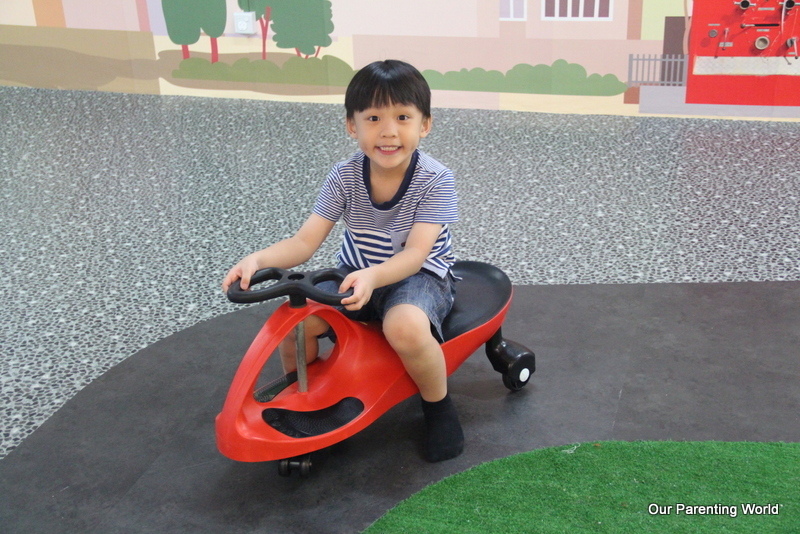 The City is open daily from 10am to 7pm, it is a fun and educational interactive learning playground where children will have the opportunity to learn and role play in various professions like Doctors, Cashiers, Chefs and even Superheroes. The City even offers Birthday packages for an unforgettable birthday celebrations. To find out more about The City, please click HERE.